NASA's interdisciplinary Nexus for Exoplanet System Science (NExSS) project has awarded Rice University $7.7 million for a multidisciplinary, multi-institutional research program aimed at finding many different recipes nature might follow to produce rocky planets capable of supporting life. As any cook knows, it takes the right recipe and getting the right ingredients to make a tasty dish, and the same principle applies to habitable rocky planets, said Rice Earth and planetary scientist Rajdeep Dasgupta, the principal investigator on NASA NExSS's CLEVER Planets research program. "A recipe for life as we know it requires essential elements like carbon, oxygen, nitrogen, hydrogen, phosphorous and sulfur," said Dasgupta, professor of Earth, environmental and planetary sciences at Rice. "But the first billion years of a rocky planet's life are turbulent. On Earth, that period was marked by enormous change, not only at the surface but inside the planet as well. For planetary habitability, life-essential elements must survive that period in a bioavailable form." CLEVER Planets — short for "Cycles of Life-Essential Volatile Elements in Rocky Planets" — will explore what happens to life-essential elements in a rocky planet's formative years. It will involve experts from wide-ranging disciplines such as astrophysics, geology, geochemistry, geophysics, organic chemistry and atmospheric and climate science. The team includes 11 co-investigators from Rice, NASA's Johnson Space Center, UCLA, the University of California, Davis and the University of Colorado, Boulder. "We have the expertise to trace life-essential elements through the first billion-year journey from protoplanetary disks to prebiotic molecules on the surface of young worlds," Dasgupta said. "Some of the processes that are central to this — the ones happening inside the planet and the feedbacks that link interior processes with those on the surface — are largely unexplored in the context of exoplanets." He said the research will be guided by knowledge from the solar system's rocky planets — Mercury, Venus, Earth and Mars — and other objects, but CLEVER Planets' goal is to extend knowledge to rocky worlds orbiting distant stars. "We know more about our own solar system than any other," Dasgupta said. "That's very useful for comparative planetology, but the focus of our search is beyond our own backyard. We want to construct and constrain as many possible pathways to rocky planet habitability as we can." Co-investigators on the five-year grant include Cin-Ty Lee, professor and chair of the Department of Earth, Environmental and Planetary Science at Rice; Adrian Lenardic, professor of Earth, environmental and planetary sciences at Rice; Laurence Yeung, assistant professor of Earth, environmental and planetary sciences at Rice; Pedram Hassanzadeh, assistant professor of mechanical engineering and of Earth, environmental and planetary sciences at Rice; Andrea Isella, assistant professor of physics and astronomy and of Earth, environmental and planetary sciences at Rice; Tom McCollom of the University of Colorado, Boulder's Laboratory for Atmospheric and Space Physics; Hilke Schlichting, associate professor of Earth, planetary and space sciences at UCLA; Sarah Stewart, professor of Earth and planetary sciences at the University of California, Davis; Aaron Burton, planetary scientist in the NASA Johnson Space Center's Astromaterials Research and Exploration Science Division; and Francis McCubbin, astromaterials curator in the NASA Johnson Space Center's Astromaterials Research and Exploration Science Division. The CLEVER Planets team also includes collaborators Christopher Johns-Krull and David Alexander, both professors of physics and astronomy at Rice. The Rice-led team was selected from a competition in response to the NASA Astrobiology Institute Cycle 8 Cooperative Agreement, and funding was awarded by NASA's Science Mission Directorate as part of the agency's interdisciplinary NExSS Project. NExSS is a NASA research coordination network dedicated to the study of planetary habitability. 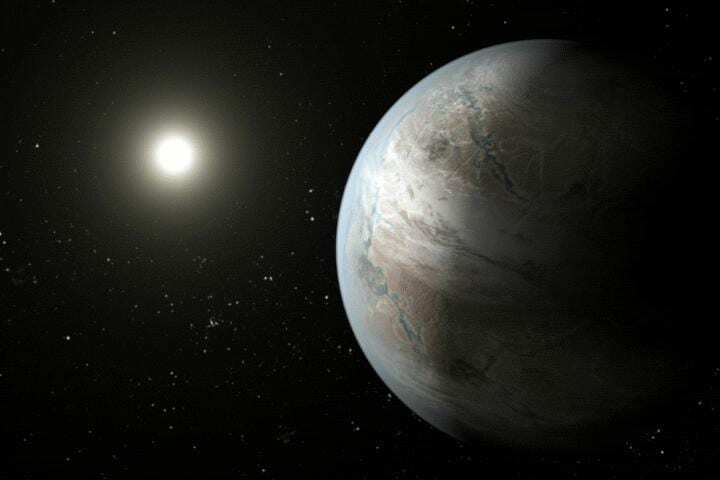 The goals of NExSS are to investigate the diversity of exoplanets and to learn how their history, geology and climate interact to create the conditions for life.